Winston Churchill began his hobby of painting at 40 years old. For Churchill, the art of painting, like the art of statesmanship, is practiced successfully only when the intricate details involved aim toward a fixed purpose. Both arts, if done well, are guided by and reflect timeless principles. 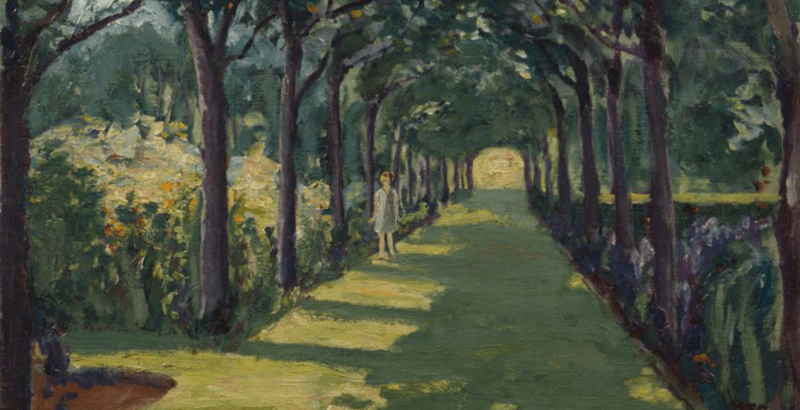 Churchill produced nearly 600 paintings, nine of which will be on display at Hillsdale College, along with memorabilia from his life and times. This traveling exhibition is organized by the National Churchill Museum at Westminster College in Fulton, Missouri. Monday-Friday: 8:30 a.m. to 9:00 p.m.
Sunday: 1:00 p.m. to 9:00 p.m.
To read an excerpt from Dr. Arnn’s new book, Churchill’s Trial, on Churchill and his hobby of painting, click here. Featured Image: Avenue at Frinton-on-Sea, Essex, with Diana Churchill, c. 1922. Oil on canvas 20 x 24 in. Collection of the family of the late Julian Sandys © Churchill Heritage, Ltd.